Delpro serving the converting, packaging and printing industries. Delpro Limited was formed in 1975 to design and manufacture equipment for the converting, packaging and printing industries. Since that time, a continuous programme of research and development has enabled the expansion of both product range and manufacturing capability. Applications include machinery for adhesive labels, hot stamping foil, holographic coating and pressure sensitive material processing. Today, in addition to its core industries, the company also supplies finely engineered equipment across a range of specialist markets such as composite material production. From product concept, through plant analysis and design, to supply, installation and commissioning, Delpro offers not only flexibility and experience in depth but also an after-sales service that is second to none. 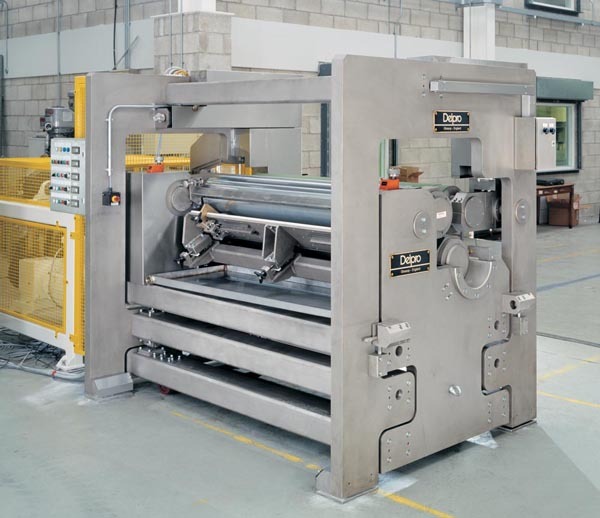 Formed in 1975 to design and manufacture equipment for the converting industry, the Delpro business has developed by virtue of a continuous programme of research and development that has enabled the expansion of both product range and manufacturing capability. With a reputation for technical innovation stretching back over 40 years, Delpro continues the tradition of supplying converting, packaging and printing companies with custom-designed machinery by the development and manufacture of a unique coating head that will allow five coating processes to be carried out in the one unit.